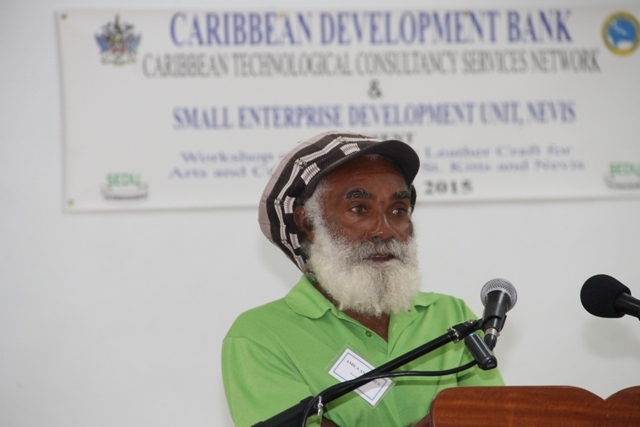 NIA CHARLESTOWN NEVIS (MAY 13, 2015) – The Small Enterprise Development Unit (SEDU) held the opening ceremony on May 11,2015 for the Caribbean Development Bank-sponsored 10 day Intermediate Leather Craft Workshop. Working along with SEDU in hosting the workshop are Caribbean Technological Consultancy Services (CTCS) and the Nevis Island Administration. The workshop, which is held at St.Pauls Anglican Church School Hall, is being facilitated by Amica Antrobus, who is a Barbadian leather craft artisan. 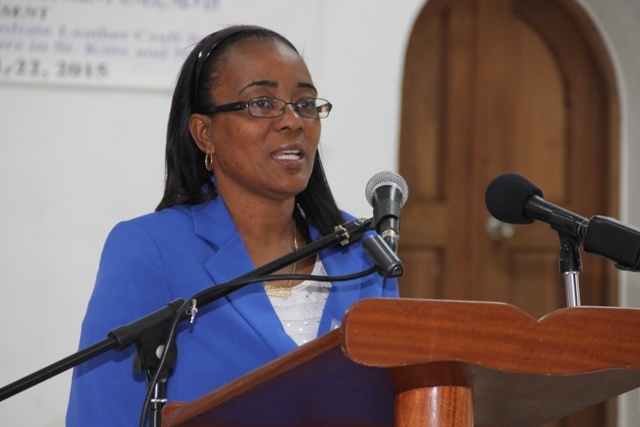 Head of SEDU Catherine Forbes said at the opening ceremony the craft sector can provide great economic benefits not only for the craftsmen but to the entire country because it played a major role in the island’s tourism industry. 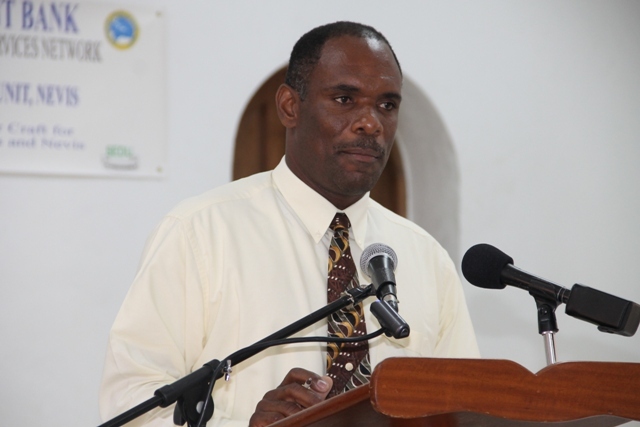 Permanent Secretary in the Ministry of Tourism Carl Williams also attended the ceremony to give remarks. He stated that small businesses assist in the advancement of the economy and that the exposure to professional training results in the creation of quality products. “It is important for our craftsmen to always strive to provide the best possible products and exposure to quality training is one way of ensuring this,” he added. 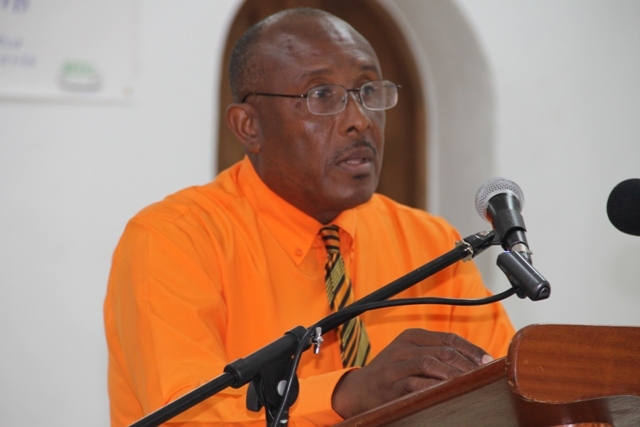 Permanent Secretary in the Ministry of Finance Colin Dore pledged the support of the Ministry of Finance and Trade to small businesses on the island. Dore went on to say that while all countries do not have the same resources and skills, a focus on proficiency could improve the economy. “Every country may not be endowed with the same level of resources and skills but I believe that if each country were able to focus on their skill level or they area they are competent in… overall economy would be better off because now each person would be specializing in their area and when you put together all these group of things. We have product that could be traded and these products can benefit the entire region,” he said. 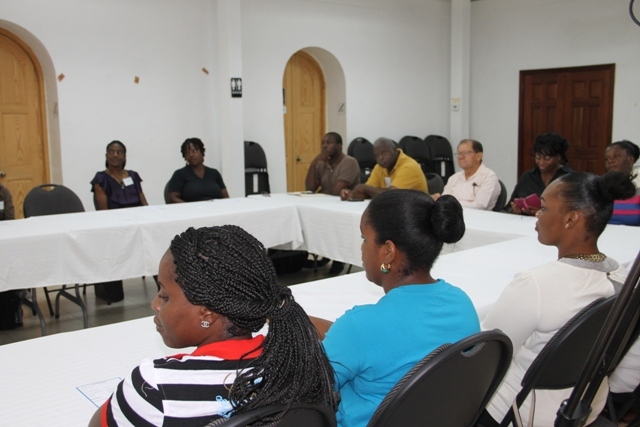 Dore also encouraged participants to view the workshop as an investment in themselves.